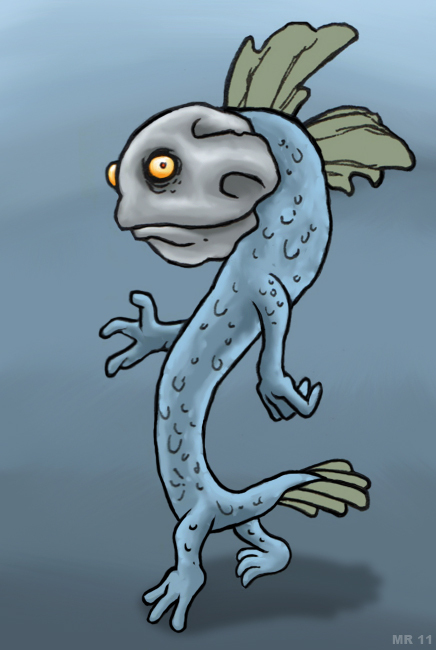 Ganoids are bipedal creatures which evolved from sea-going, eel-like ancestors. 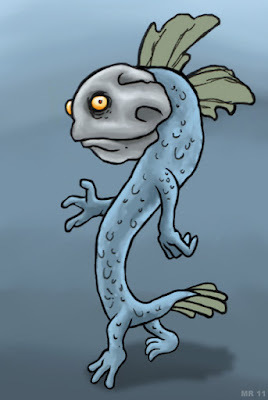 They are still semi-aquatic, and are capable of respiration under water as well as on land. They have a ritualistic warrior culture, and there are often multiple conflicts occuring at once across the surface of their native planet.